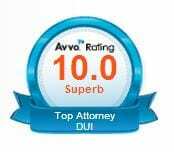 You are here: Home » Blog » Blog » Criminal Defense » What are Some Common DWI Defenses That NC Attorneys Use? 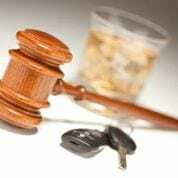 What are Some Common DWI Defenses That NC Attorneys Use? For each and every DWI case, there are varying circumstances that allow for a variety of defenses to be utilized. There are a few however, which are commonly used in a typical DWI case where for the examples below let’s assume that the police pulled over a 24 year old driving a blue sedan with a Blood Alcohol Level (BAC) of .11. 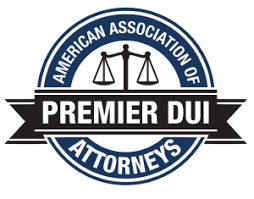 The first method of attack attorneys can use is refuting the way the officer administered the Field Sobriety Tests. If the officer followed all of the proper protocol, then there may be no argument here. However, if he did not do so properly, then this can be used as a defense in getting the case dismissed. If we must follow the law, so do everyone who is NITSA certified. Secondly, a defense attorney would argue that there has been an improper traffic stop. The police must have, at a minimum reasonable suspicion in North Carolina in order to make a traffic stop. If the police did not have appropriate reasonable suspicion to stop you, then the traffic stop was illegal and thus the charge must be dismissed. The defense could also argue that the breathalyzer test was administered improperly. With each machine, there are certain minimum standards that the machine must meet in order for the test to be valid. Specifically, the machine must of had its proper calibration for example, and the inspection of the machine must be current. If the machine did not meet these standards then the result of your test can be challenged by your defense attorney. Moreover, your attorney could argue that you were not given the proper Miranda warnings, which is both a state and federal law that must be followed. We know them as ” you have the right to remain silent, anything you say can and will be used against you in a court of law…etc.” If you answered questions the police asked you which are incriminating those statements may be inadmissible in trial if proper warnings were not given. These are just some of the defenses which can be successfully argued in your case if you have been charged with a DWI. If you have been charged with a DWI in North Carolina, contact the law offices of Robert J. Reeves, P.C. toll free at 877-374-5999.